Urban Woot are hosting another supper club in Willesden Green, around the theme of 'luck', very appropriately on Friday 13th. I've been to a couple of events with 'Woot' and both were excellent - great food and lots of fun and laughter. 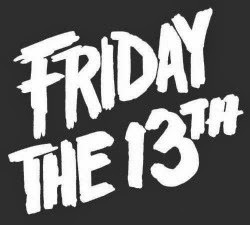 "Join us for our Friday the 13th Part II this December (Friday the 13th)- The Launch of the Luck School. Urban Woot and Dr Matthew Smith the doctor of Luck are teaming up with Jesse Dunford Wood and Parlour to bring you another fantastic evening of great food, great people and the science of Luck. On the menu 2 courses of sharing plates, food that makes your heart sing and the conversation flow. Test your luck the minute you arrive will you be one of the lucky 2 who find the teeny tiny hidden horseshoes and bag yourself a free 1-2-1 session with Majella (worth £90). Revise your knowledge of luck in preparation of the traditional pub quiz consisting of a picture round and 3 rounds of luck themed questions… Dr Matthew Smith will be hosting a conversation about the science of luck, what is luck? And we will be launching the Luck School a 6 – week fortnightly school teaching you proven techniques to increase your luck in life. You can purchase Luck School gift vouchers to give the gift that will change someone’s life for the better or book yourself on the first course to make changes in your own luck!"